RCHS is creating new initiatives and developing projects in partnership with community, cultural and civic organizations to better serve our Capital County. Guided by the Equity & Inclusion Statement, the Task force will seek to address the items identified below as well as any other themes or challenges identified during its work. Learn more from our community regarding equity and inclusion efforts and practices with the goal of helping inform RCHS policies and procedures. Discuss, debate, and prepare a recommendation as to the role of RCHS, if any, in addressing issues of discrimination, exclusion, and racism. Explore any other avenues of inquiry it deems appropriate to address this topic and form recommendations to the Board of Directors. Four stories bring to light the hidden histories of African American Minnesotans during and after the Civil War. These unsung heroes made unique contributions to the Union and their new state, but the details and records of their involvement still challenge historians. 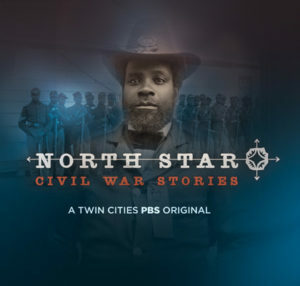 Produced by Ramsey County Historical Society in partnership with TPT. North Star: Civil War Stories page for more information. RCHS, in partnership with the Jean-Nickolaus Tretter Collection in Gay, Lesbian, Bisexual and Transgender Studies at the University of Minnesota collected oral histories of health care workers, community organizers and others who were on the front lines of the HIV/Aids crisis trying to save lives. The oral histories documented the appalling gap between identifying HIV/AIDS as a health crisis and the full-scale response required to develop effective treatments, a delay that allowed the deaths of thousands. The recorded oral histories are archived at RCHS, and the results are being provided to lawmakers across the country to encourage faster responses to current and future medical crisis. The project received a matching $10,000 challenge grant from the Jay & Rose Phillips Family Foundation of Minnesota. If you are interested in learning more about the HIV/Aids Oral History project, or using the archives, please contact us. RCHS and its partners are creating an exhibition and a series of programs that revolve around the experiences of the community members that went to Selma in March, 2015 for the 50th Anniversary of Bloody Sunday and of the march across the Edmund Pettus Bridge this past March. The exhibition and related programs will also explore the history of the Civil Rights Movement in Minnesota, and how that history has shaped our lives and communities today. RCHS recently received a grant from the Institute of Museum and Library Services (IMLS) to be the lead organizer to conduct a Lowertown Interpretive Plan project. The project, recently completed, developed a community-based plan to create interpretive, information sites in Lowertown, St. Paul, to share the unique history of the Lowertown Historic District with residents and visitors. RCHS will work in collaboration with community organizations, including but not limited to: Saint Paul Union Depot, Saint Paul Saints, Capital River Council, and the Preservation Alliance of Minnesota. More importantly, the project included the participation of local residents, businesses, artists, and nonprofits in focus groups to develop a truly community-inspired and consensus-based interpretive plan for the Lowertown Historic District. In addition, two prototypes will be installed in a public Lowertown space for greater community testing in the upcoming year. Responding to the Greater Lowertown Master Plan developed in 2010, and paying tribute to the decades-long revitalization work by community members, the plan lays the foundation for future historic interpretation projects. During the next ten years, this interpretive plan will guide the implementation of interpretation projects in Lowertown, Saint Paul. During the summer of 2015, in partnership with St. Paul City School, RCHS created Investigate MN!, a six-week, museum-based summer school program that helped students reduce their “summer slide” – the regression in learning that occurs over summer break and a leading contributor to the achievement gap in Minnesota. During the program’s six weeks, the students visited the Gibbs Farm, the Science Museum of Minnesota, The Bell Museum of Natural History, and the Minnesota Museum of American Art. Students spent Monday through Thursday at the museums and in their classrooms at the Saint Paul City School experiencing history, art and science. They worked on projects that helped them explore what they had seen and experienced in very personal ways. These projects helped them connect to their community and continue their educational progress throughout the summer. Investigate MN! completed it’s third successful year in the summer of 2017, and we are looking forward to Year Four in the summer of 2018. RCHS is pleased to have completed phase two of an oral history project developed to record the experiences of Bhutanese immigrants who have recently arrived in Minnesota. From Exile to Resettlement: The Voices of Bhutanese in Minnesota has established a permanent, first person record of the resettlement experiences of some of Minnesota’s most recent refugees, the Bhutanese. Many of the Bhutanese have been living in refugee camps in Nepal since the 1990s after fleeing their native country of Bhutan. For more information on any of initiatives and projects, please contact us.